Located on W WT Harris Blvd between Lakeview Rd and Old Statesville Rd, Extra Space Storage serves Charlotte residents near West Sugar Creek, Davis Lake, Mallard Creek, Derita, Highland Creek, and more. Locals will recognize our facility just west of Exxon and Citgo gas stations. With a wide selection of storage units and excellent amenities like climate-controlled storage and drive-up access, Extra Space Storage on W WT Harris Blvd can handle both residential and commercial needs in Charlotte! 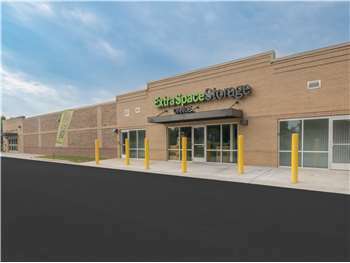 Find the space that works for you with ease at our Charlotte storage facility! We have units as small as 5x4 and as large as 10x30 with convenient features like indoor access, first-floor access, and climate control. We take the security of our customers and their belongings seriously. That's why our W WT Harris Blvd storage facility has an on-site manager, 24-hour video surveillance, and electronic gate access. Every contact I've had with the associates at this location (W.T.Harris Blvd.) has been great! They are very helpful and pleasant to be around. Also the facility is very clean and well kept, I definitely will recommend this storage facility to anyone who is looking!!! Customer service was phenomenal. Storage unit was clean (and inside!). The business is just overall organized, pays attention to specific needs, and makes for a great experience. I won't ever go to another storage company again! Extra Space is the best of the best, you won't find any better. A Very Happy Customer ! Drive south on US-21. Cross I-485 and continue straight. Turn left onto W WT Harris Blvd. Our facility will be on the right after Northwoods Business Pkwy. Drive north on I-77. Take exit 18 and turn right onto W WT Harris Blvd. Our facility will be on the right after Northwoods Business Pkwy. Drive northwest on W WT Harris Blvd. Keep right after Norcroft Dr to stay on W WT Harris Blvd. Make a U-turn at Northwoods Business Pkwy. Our facility will be immediately on the right. Drive northeast on Lakeview Rd. Turn right onto W WT Harris Blvd. Our facility will be on the right after Northwoods Business Pkwy.